I was supposed to attend the Paris Sketchcrawl today but the rainy weather put me off. Instead I played around with the Morpheus rig as it allows for easy customisations so no two rigs look the same and many people recommended it to me. The customisation options are pretty insane and surprisingly the character stays very appealing but I must say that I am not too happy about the facial rig which I am finding very limiting. The lips don’t give much freedom especially the bottom one and the geometry collapses on itself too often when hitting asymmetrical extreme poses. It is possible to tweak the blend shapes but I don’t really have time for that. The nose and ears controls are really cool though, I have never had that before. Does anyone know where the head squash and stretch is? I just can’t find it! Here is the blocking for this month 11 seconds club. I don’t intend to spend too much time on this piece as I just want to test Morpheus but let’s see where I am tomorrow evening. I have gone a bit further and did a quick blocking + pass but I am not liking the mouth rig at all. Instead of thinking “what do I want to do?” I am finding myself pondering “what can the rig handle?”. Too bad it is a really cool rig, I will probably use it for background characters or physical test but not for close-ups anymore. I wanted to write a well thought post about Francesco Giroldini but my priority is animation and not journalism so a quick post should do it for now. For the past few years students from Ringling have been producing some really nice shortfilms. Few weeks ago I did a fair amount of research to know the school a bit better and two things struck me. The first one being that Renderman is the default software they use to render their shortfilm and the second one that most shortfilms are a two, but more often, a ONE man job. Character design (based on a caricature of themselves, what a good idea! ), modelling, rigging (using The Setup Machine), animating, rendering and even compositing! By the way, there is a mention of a software called Tsunami in their credits, anyone knows what this is? The good thing about this is that you can claim all the work yours. Most french schools have teams of 5 and upward people and looking at their showreels it is near impossible to know who did what. Right, back to the topic, Francesco Giroldini! Francesco is an Italian Ringling graduate who co-directed the gorgeous “The Monk and the Monkey” 2010 shortfilm. If you missed it, check it out here. 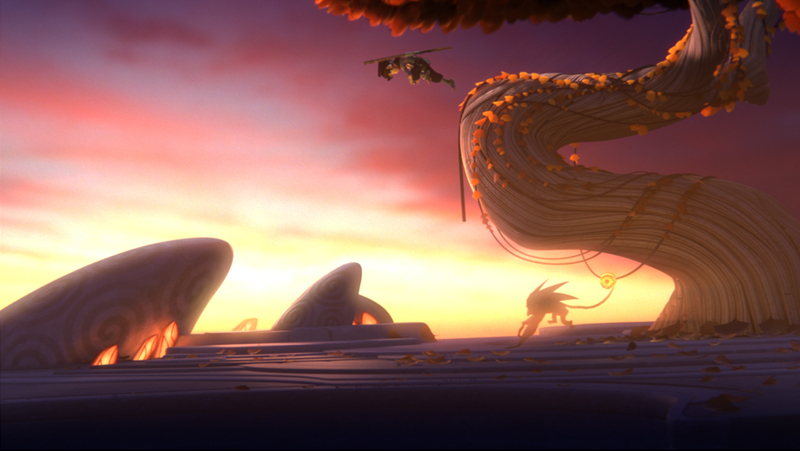 It was so well received that an internship at Pixar and a Dreamworks lighting TD job followed. So Francesco is not only an amazing lighter but he is also a really nice guy and he posted loads of tutorials on his blog. I would highly recommend you to check them out as they are directly aimed at people wanting to make their own shortfilm. They deal with dynamic simulation, cloth, hair and he obviously made several tutorials on lighting that are far more interesting than those crappy DVDs explaining every single buttons but don’t tell you how to make the magic happen! Here, Francesco shares his thought process on how he creates light sets and cheat things so they look more … magical. Watching his tutorial made me realize that more than one light should often be used to create the effect of a rim light for example. Saying this, a Pixar lighting TD told us few weeks ago that they always have a different light set just for the eyes. Light linking and light breaking are your friends! I hope I tempted you into browsing his blog so here are several posts you should start with. – always take notes and write down the timecode so you can refer to them at a later time without having to watch the whole thing again, I write all my notes in Microsoft OneNote, OneNote is a great software to centralize and synchronize notes automatically. I keep my source files on my USB stick and they automatically update my desktop and laptop as soon as I plug the USB key. – KMPlayer, Quicktime and probably other video players allow you to speed up the playback of videos, I often watch videos between 110% and 120% speed depending on how dense the information is. He has plenty more on Mental Ray and Renderman so make sure you bookmark his website and thank him for sharing his knowledge. Because of my video games experience, I get asked once in a while what software should people learn to get a job in Video Games and unfortunately I don’t have a straight answer, it depends on the company and sometimes in even depends on the team. At Microsoft/Rare we used Maya and since the company is now doing more and more motion capture, I have been told they also use Motion Builder on top. At EA, the team I worked with on Spare Parts exclusively used Maya but the Harry Pottter team was also using a bit of Motion builder. One thing I should also mention is that 3dstudio Max offers several animation technologies which have little in common so you might want to get confirmation whereas the studio you are targeting uses Biped/Character Studio, CAT or regular joint based rigs. A website that could also prove very useful to find jobs in games but others industry related to animation as well is CG Studio Map. 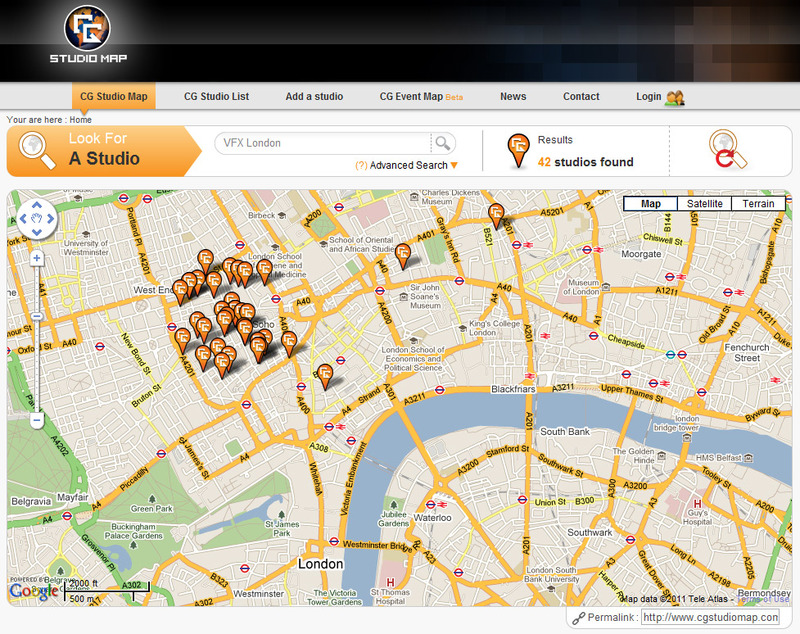 CG studio map is a website referencing all the animation studios and game studios. Some of the infos are not very accurate regarding the software used but it still remains a really good resource. Correct me if I am wrong but I don’t think Ubisoft Paris uses Softimage as their main tool. As a conclusion, I think you will probably have to learn all the softwares so don’t be a fanboy, don’t get too hung up with that software you have spent years learning. I know it is tough, I am also going through the same thing but that’s the way it is if you want to stay employed. Great! Aardman finally released the trailer we saw at Annecy last month. Ah the Brits, don’t you love their wacky sense of humour! I can’t wait to see this in cinemas! Hold on, there is a second trailer!! If you wanted to learn the history of 3d Computer Graphic, I would suggest you to start with that great series of interviews with the creators of 3dstudio (the DOS version of 3dstudio max) and José Maria De Espona, one of the first 3dstudio artist to make the switch from Silicon Graphics based solutions to Intel based desktops. “It was not however an easy task to convince my partners to adopt 3DStudio, and even harder for my clients to accept the fact that something could be produced with household PCs. We had additional problems, such as the need to keep PC boxes always open and put small fans over the CPUs, because we had literally melted some 486 PCs. Every time clients walked into our office, they would stand there with their mouths wide open looking at the atrocious spectacle of all the disassembled PCs, with their chassis and metal guts in open air, accompanied by the loud noise of the fans. I have to say we lost some clients due to this, and also because rumor spread among the competition that we used home PCs for producing TV ads”. The Gary Yost interview contains a little gem that Character Studio and Chuck Jones fans will love. I let you read how this came about. Here is a music video clip from French animated feature “Un monstre à Paris” and performed by Vanessa Paradis and composer M, who are respectively voicing Lucile and Francoeur (the creature). La Seine is the river that flows through Paris and also the french for stage. The lip sync is not very accurate but the video is gorgeous.